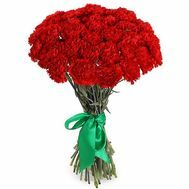 A bouquet of carnations is the most symbolic gift in floristry. 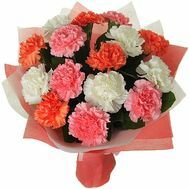 Carnations carry charm and strength, and therefore without problems find their admirers. 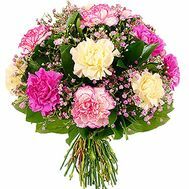 Even a mini-bouquet of this flower can cause a sincere and genuine smile. 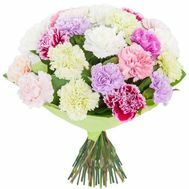 If you want to move away from the template and make a beautiful, but unusual gift - choose a bouquet of carnations. The price will please you pleasantly, as well as the abundance of varieties and design. 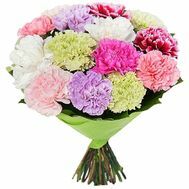 Buy carnations in our store easily and simply. 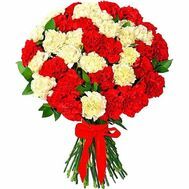 It is enough to place an order on the site and our couriers will be able to deliver the bouquet today! 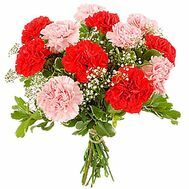 When and who is best to buy a bouquet of carnations? 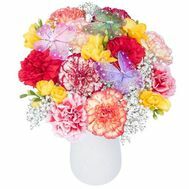 A bouquet of carnations is best to have in May. 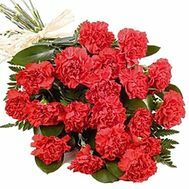 For example, a bouquet of red carnations will be appreciated by your grandfather on May 9. 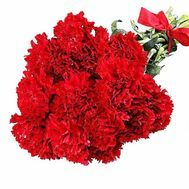 Carnations mean honor and glory, which is important to recall on Victory Day. 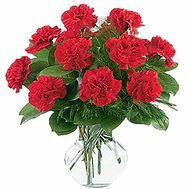 A small bouquet of carnations will please your grandmother for his birthday. 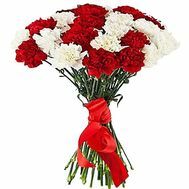 But a huge bouquet of carnations should be presented to your beloved on the anniversary, choosing red or pink shades. In addition, you can always add a gift to a bouquet of your choice: sweets, toys and other holiday attributes. 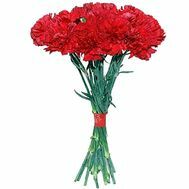 Buy flowers from us before the holiday - and we will perform accurate delivery directly to the recipient! 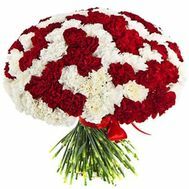 Where to buy flowers with delivery in Ukraine? 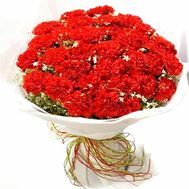 In our store you can buy a large bouquet of the best flowers that have ever been seen. Our range will pleasantly surprise everyone, and the prices will make you come back to us again. To buy from us is absolutely inexpensive. Our prices are democratic, and promotions and discounts will pleasantly surprise every customer! 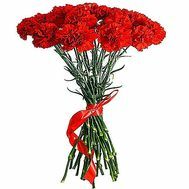 Choose a bouquet and give joy to your loved ones for nothing! Let their faces shine with joy, which you and m present. It's so nice!